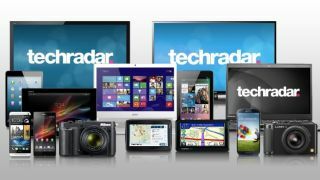 TechRadar's aim is to be the most trusted site in tech. We pride ourselves on our independence and our rigorous review-testing process, offering up long-term attention to the products we review and making sure our reviews are constantly updated and maintained - regardless of when a device was released. We have the finest team of technology journalists on the planet, who are not only experts in their field, but are the same people we write our reviews for: those who want to know about and use the latest and best technology. Our editorial independence is backed by the weight of one of the world's largest technology publishers, Future PLC, which means we can tell you what we think of a product, without fear or favor. We do not take payment for product reviews. Ever. We select products for review based on what we believe our readers would want to know. We'll tell you what we think, not what advertisers want you to hear. We say it as we see it. Our expert reviewers love technology and want you to love it too. If it's rubbish, we'll warn you off. If a product doesn't meet our high standards, we'll tell you why. If you think we're not living up to our promise, please email the editor in chief and we'll endeavor to put it right. How does the product look and feel? Is it well built or cheap to the touch? Does it have the features and functionality that we expect/want? How easy is it to use and get the most out of? Are the controls in the right place and is the UI logical? How well does the product work? Do all the features perform as they should? Is the launch price good value when weighed against the other criteria? 'Hands on reviews' are a journalist's first impressions of a piece of kit based on spending some time with it. It may be just a few moments, or a few hours. The important thing is we have been able to play with it ourselves and can give you some sense of what it's like to use, even if it's only an embryonic view. For more information, see TechRadar's Reviews Guarantee.